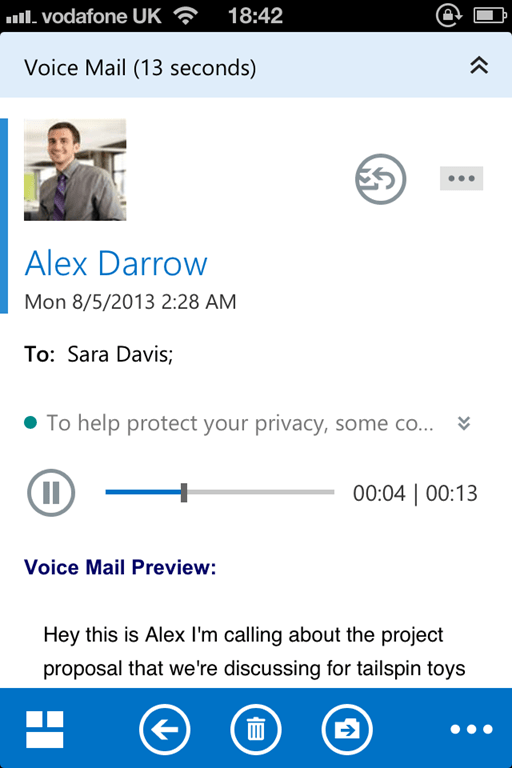 If you’ve not yet heard, last month saw the release of Outlook Web App for iPhone and iPad. Less than a month after it’s release, the first update, version 1.0.1 is already out the door providing bug fixes and turning contact sync on by default. In a nutshell, OWA for iPhone and iPad is an app version of Exchange 2013’s Outlook Web App. It looks similar to OWA on mobile devices but also adds in the ability to allow you to receive push notifications (via the push notification service, rather than the tried and tested ActiveSync), sync contacts to the local device and receive reminders for appointments. Key for those looking for a BYOD solution is the fact that it’s containerised, allowing server-side policies to only affect the app itself (for example, to enforce a PIN before the app is used) and when performing a remote wipe a user’s personal items aren’t deleted – only the data within the app is. Just to give you a flavour for how nice the OWA app looks, just check out the screenshot below. I’m using my demo account to listen to a voicemail. You’ll see we get a great experience – contact photos, play buttons for the voicemail and the same clean interface you’ll find in OWA, but with the responsiveness of a native application. 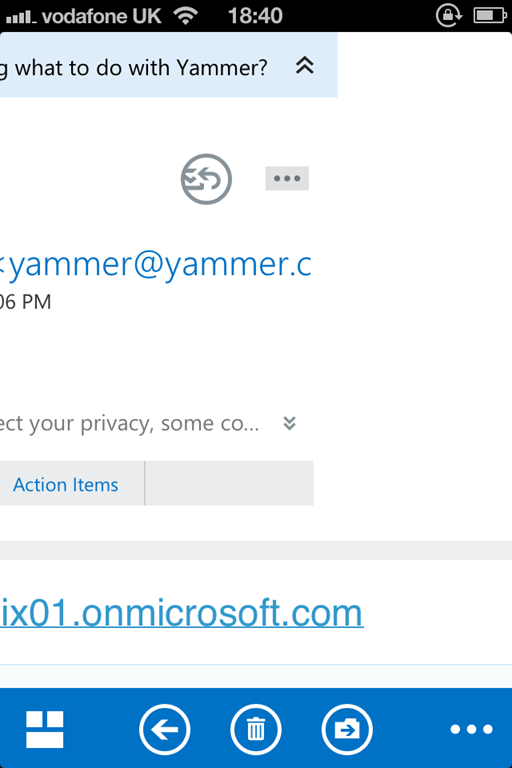 At the moment, this is an Office 365 exclusive – as in it’s not supposed to work with Exchange 2013 on-premises. That’s probably a good thing for Exchange shops as at the moment, the app is a little buggy. I’ve collated a long list of things I’ve found and made sure the right people know about them. There’s a few other annoyances, some which may never be rectified due to the nature of this app – such as the fact mail doesn’t sync in the background – but overall it’s certainly a great app that is showing some promise. It’s fantastic to see Microsoft releasing updates for the app too, and hopefully we’ll see versions for Android and Windows Phone soon. I actually have it working with my on-premises Exchange 2013 test server. The only functionality I found to be missing is the app icon doesn’t show the little red circle with the number of unread messages, and the archive mailbox doesn’t show in the folder list. I too am particularly annoyed about the formatting of HTML messages. Be warned, I was no longer able to set it up to work with on premise after this update. Seemed fine beforehand, save for push notifications etc.